Everybody loves a good interspecies friendship story. But do the animals in those relationships actually know how their friends are feeling? Some of them might. 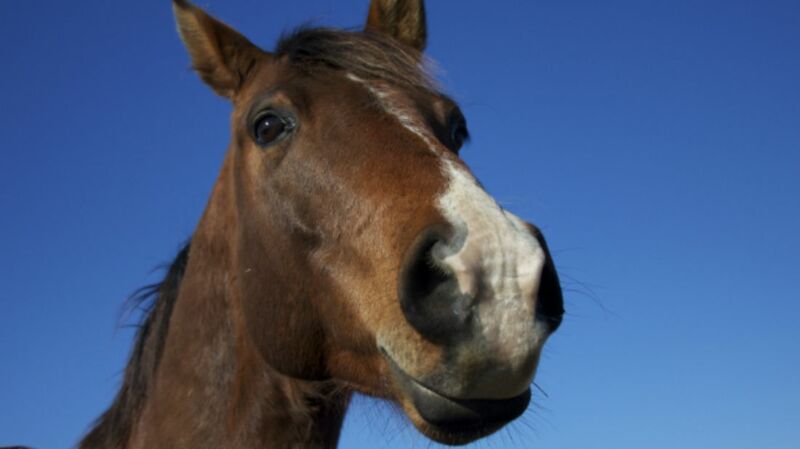 A new study published in Biology Letters suggests that horses can read different emotions on human faces. Researchers rounded up 28 horses from stables in Surrey and Sussex in the UK. The horses were shown photos of men they'd never seen before while researchers monitored their heart rates and behavior. Happy pictures didn’t provoke much of a response in the horses, but when the men in the pictures looked angry, the horses’ heart rates increased. They also turned their heads to view those pictures with their left eye—an action associated with increased attention. Previous studies have shown that many animals use their left eyes to look at things that are scary or alarming. This is likely because input from the left eye is sent to the brain’s right hemisphere, a region associated with processing threats. Dogs, too, have been shown to look at angry human faces with their left eyes; and dogs, too, have had close relationships with humans for thousands of years. Is it any wonder they learned to read us? "It's interesting to note that the horses had a strong reaction to the negative expressions but less so to the positive,” study co-author Amy Smith said in a press release. "This may be because it is particularly important for animals to recognize threats in their environment. In this context, recognizing angry faces may act as a warning system, allowing horses to anticipate negative human behavior such as rough handling." Part of what makes this finding so unusual, McComb added, is the fact that a horse’s facial structure and expressions are so different from a human’s. Smith agreed: "What's really interesting about this research is that it shows that horses have the ability to read emotions across the species barrier. We have known for a long time that horses are a socially sophisticated species but this is the first time we have seen that they can distinguish between positive and negative human facial expressions."